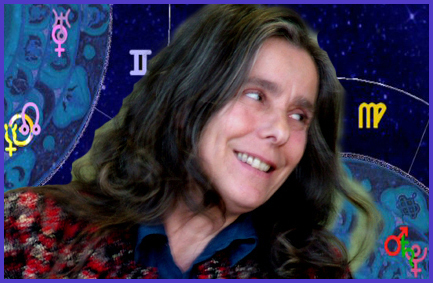 On this site I wish to share my thoughts, insights and knowledge of Astrology, my art and life for the past twenty-five years. I also offer here astrological counseling and readings (plus Astrological Tutorials, Workshops and Beginners and Advanced Courses, CD Recording, Synastry or Relationship Readings, Re-location Charts, Baby Charts’ Booklets, Original Art Horoscopes, etc.). I’ve provided these services since 1985 to my local community, in the Northern Rivers region of New South Wales, Australia, within the Mount Warning‘s one million years old caldera (Wollumbin, in aboriginal language). I hope your response will inspire me to keep on sharing this fascinating journey. My name is Paola Emma. I moved from Italy to Australia, with my partner Li, in 1982. I was interested in astrology while still a high school student, but only in 1979 I began studying it in earnest, with ever-growing intensity and passion. I am learning more every day, because there is no end to learning with Astrology. After studying ancient history and psychology at the University of Rome for four years, I dropped out and started my inner journey, via India and , eventually, all the way to Australia. I have a background in Computers, having worked for four years for Olivetti, Italy, in the early Seventies, when the first word processors and computers were just coming out. I started practicing Astrology in 1985. And, Since 1989, I have held many Beginners and Advanced Courses; privately tutoring many more students. I’ve had the opportunity to cast and interpret hundreds of Natal and Progressed Charts. ¨ the FAA Diploma (earlier known as the Practitioner’s Certificate). ¨ The Silver Medal ‘Doris Greaves’ Award’ for obtaining the highest marks in Australia in the FAA Interpretation Exam. ¨ The Silver Medal ‘Allan Johnson’s Award’ for obtaining the highest marks in Australia for the FAA Calculation Exam. ¨ The ‘Gold Medal for Excellence’ for obtaining the highest aggregate marks in Australia for all four FAA Exam Modules. ¨ The ‘John Clarke’s Memorial Scholarship’. One of my essay from the FAA Dynamic Exam was published in the FAA Journal. Taking the exams has been a rewarding experience, making me especially aware of the vastness and depth of Astrology in its many branches and stems. If you are serious about Astrology I recommend preparing for similar qualifications in Australia or any other country; it is a worth the effort. 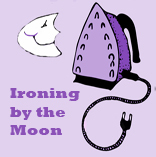 I have self published Students Booklets, Moon Calendars and Diaries since the year 2000. I have also been a regular contributor to our local newsletter The Uki News for a number of years and have been writing for the Byron Bay quarterly magazine ‘The Art of Healing‘, which regularly publish my articles, since 2006. Click here for Articles. For a while, few years back, I weekly contributed my astrological thoughts to a local community radio, CoolFM. To contact me for Readings, on CD or in person, Baby Booklets etc., please post a comment. Your comment, unless it has to do with the articles or posts, will not be published on my site. I will answer privately to any Reading request. I consider it a great opportunity to be able to connect now, while still living in our bush dwelling. on limited solar power, to the astrological network the Internet is making available to all of us. I’ll try my best to link my site to others I love and that have helped me to deepen my appreciation and enjoyment of Astrology. My wish is to promote a better understanding of Astrology as a spiritual discipline and a counselling tool, thus helping to dispel its time-long identification with hocus-pocus and fortune-telling. I have endeavored to use Art Works which are in the Public Domain. Those that aren’t have been somewhat altered through Photoshop, either by selecting only part of the painting or otherwise editing the colours etc., or lowering the resolution. If, through error or ignorance, I have used copy-righted material or used them inappropriately, please let me know and accept my sincere apologies. Ciao Paola Emma: I am fascinated with your blog. I always considered Astrology something so dull, because even when I tried to “read” something, I would go nowhere. But since I found something about the Moon Mansions, thought not in full, my perspective is changing and looking for the “via combusta” matter, I found your site. It is lovely, feels trustable and this is pure knowledge. I will add you to one of my blogs. CONGRATULATIONS!! Hi Maru, thank you for your kind words. The Moon Mansions have always fascinated me; the Moon’s Days, observed either from a Sidereal Zodiac view point, Asterisms, or from a phase view point, the Moon’s waxing and waning days. It is a pity that they are not observed more regularly during personal readings or chart analysis. I have planned a page in the Tutorials about the Mansions. The study of the Mansions can help greatly to shed light on the Moon character in any horoscope, natal or event. They add a picture, a parable that can only help to enrich our feeling-understanding of a Chart. So look me up again. Hopefully there will be something about the subject in the nexts few weeks. I’ve just come across your website and found your articles very interesting and well-researched. I am writing to ask if you would allow me to publish some of your articles on my website from time to time. If you agree, I would credit you as the author and list your website address. I am a Melbourne based astrologer. Hi Stella, thank you for your appreciation. It is great to meet new astrologers. I live a very insular life in the country. The internet is giving me the opportunity to share my interests and hopefully also find more students and clients. It is ok to publish some of my posts on your site, if the provenience is made clear and there is a visible link to my site. I will put your site (a nice place, sparkly and happy) in my blogroll if you like. I think this is the way is done. I am not sure, being new to blogging and doing business on the net. I am still very much working at the format of the site, and find limited time at present for posting as much as I would like. I have lots of ideas and i like to follow national and international news. Hi Paola, so good to know deep in my heart that what you enumerate is appropriate and true to the time. You have my highest regards as a fellow astrologer and I say to everyone, you are one of the best! Keep up the good work in helping humanity on the path to true understanding and knowledge. As one of the few world astrological masters, I ask that you please accept my humble obeisances. I am so fortunate to have crossed your path and received your knowledge. Thanks for being a wonderful friend, guide and influence. Hi Dhanishta, you are always very encouraging toward me. It helps to keep me going and to feel less isolated. Compliments can be embarassing but are also a great ego boost we all need sometimes. You have a lot of knowledge about your vedic stuff and perhaps the talk we had the other day might encourage you to share more of it with more people in the future. Peace of mind could provide you with the time and resources to do more of that. perhaps you and your readers would be interested in checking the site out? Happy also to trade links! 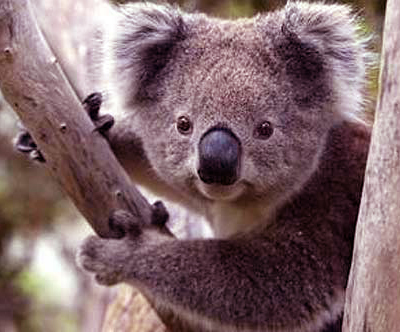 Hi Anne,I like your site, very interesting. I haven’t had time to look at the specific post, but I will. Thanks for your comment. All contacts count. It is great. Do you have any moon diaries left for 2010? If so, what is the cost please? Have just discovered your website and am finding it very useful as a beginning point in the study of astrology. Your explanations are clear and insightful. It’s neat to have found a local astrologer (I live near Uki). Thank you for producing and constantly updating such an interesting website. I have been fascinated by astrology since age 15 in 1974. I do a little personal astrology most days and a lot on other days, on top of performing astrological, numerological, Tarot and Wicca consultations for clients. I have been collecting assiduously the domain names of websites in the modalities since 2000 and was very pleased to come across your website in late 2010; naturally I added it immediately to my Internet Favourites library. I enjoy thoroughly your academic and serious approach which treats the subject of astrology – SO definitive to the development of humanity! – with the respect it deserves. Regrettably, there exist websites operated by huge corporations which treat our beloved modality irreverently as a ridiculous toy; they peddle the most awful rubbish solely for the purpose of making money and degrade our 6000-year-young body of knowledge in the process. Your website is a gracious blend of substantial discussion and information based on a strong platform of astrological knowledge/wisdom and your own friendly personality; it’s very refreshing and captured my interest straight away. I like the depth of information you provide as I’m sure your visitors learn a great deal from you. Well done! I will most certainly keep reading your website in this New Year. Congratulations, admiration and enjoyment from Caitlin Foster. Please keep up the good work. Thank you so much, Caitlin. I will write back as soon as I can. The eclipse and some consultations today are keeping me very busy. I appreciate to be appreciated. It helps to continue when sometimes I feel like giving it up because of the rather limiting circumstances I am working in. I had no idea when I stumbled across your site that you live in Australia so sorry if I rambled on about things you already know. Interesting that you too are from Italy. Nice website! Are the times (hours/minutes) posted in a specific time zone? Im in Oregon in the U.S. Thanks! Hi Jay from Oregon, thank you. Yes the times given for the Moon phases, planets’ ingress into new Sign etc, are for the coordinates of North New South Wales, Australia, where I live and practice Astrology. At the moment we are still using Summer time, and out time is 11 hours from GMT. Normally our Time Meridian is 10 hours ahead of Greenwich. So if it is 10 am here on the 19th of March, for example, it will be midnight of the same day in England. Often, due to the great distance of Australia from Europe and America the day can be different too. Making again the same example, if it is midday here it will be only 10 pm in England, on the previous day. Depending on which part of Oregon you live your Time Meridian is either Pacific or Mountain Standard Time, 7 or 8 hours behind GMT, or 6 or 7 hours when Summer Time is on. So, at the moment, with Summer Time on in New South Wales, to calculate the difference from my time to yours all you have to do is subtract 18 hours. When Summer Time finishes the difference instead will be 17 hours. Thanks! I trade stocks using technical analysis which is quite interesting in itself how they adhere to fibonacci numbers, gann angles, etc and last year I remember Arch Crawford writing about the Cardinal Climax. Nothing came of that but in the new year there have been several foreboding movements (I’m still learning your language) and the earthquake came about. I think it was a Uranus into Aries movement and the calamity of the reactors was a part of that upheaval. Tomorrow may bring more calamity. Everyone talks about the San Andreas in California but we have a more disastrous plate arrangement underneath us. Yellowstone is active and I believe is one of the biggest unknowns in the world. Anyway thanks for the info. I don’t know that much about my sign but I met a lady in mexico and I told her I liked to work with plants and such (nurseryman). she said “oh you must be a Virgo”. I am 8/25/56 but it’s funny that if you looked up ADHD in the dictionary you would see my picture. Virgos are sposed to be like organized and such but not me. Thanks again my friend. Be safe tomorrow. I think you would enjoy this fellows site immensely. He’s all over anything that is normal according to science but they make one wonder what the heck is going on with our balance. Great website that you have here that I stumbled across this morning, been sitting here for over an hour now looking at it. Found it interesting though that you don’t have your own chart up here on this site, or did I not see it. 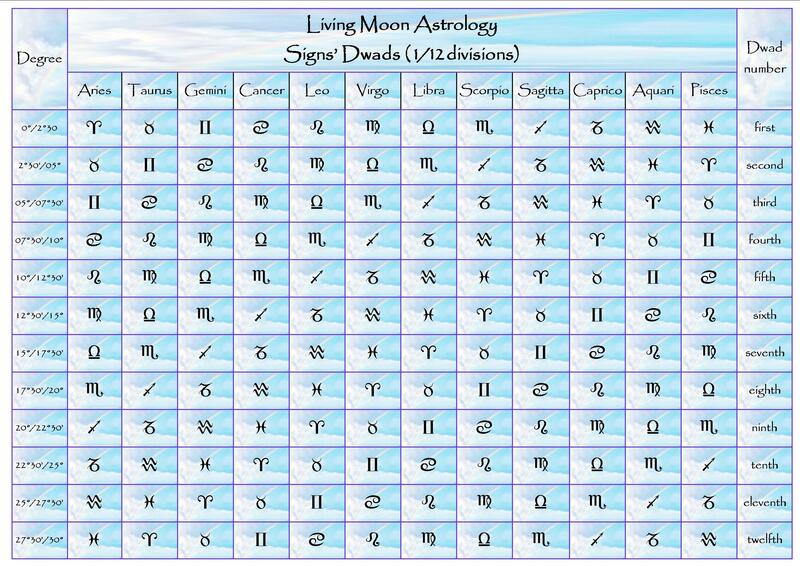 I am not an astrologer, I only dabble a bit & was curious about your chart. Love the tutorial. Am very interested in your online courses as I live in the a rural area & town is a hike. Could you please send me details of your online courses for 2012 if you have any. Hi Shelley, thank you for your encouragement. No I don’t have my Natal Chart on the site. I mention stuff about my planets and transits now and then. Paola Emma, born in Rome, Italy, June 22, 1951, 7.50 am. Hi again, Shelley, about the online courses, you must have been reading my mind because very recently I have been thinking to organize some. It will take time though. For the moment i am starting a new Foundation Course (10 weeks) on Monday April 23, in the village of Uki (few kilometers from Murwillumbah) where I have my little Fortuna bookshop. The workshops will be held every Monday for three hours. I will make more information available about this course on the site shortly.